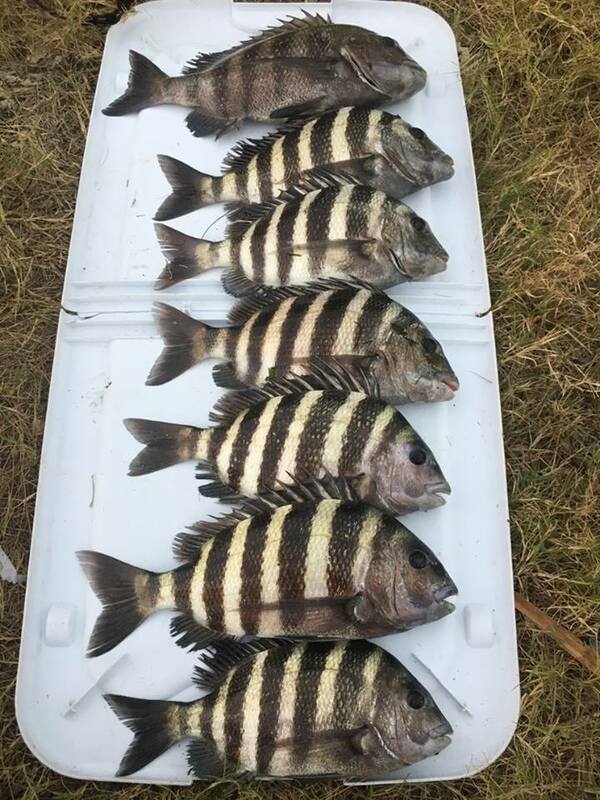 INSHORE: Sheepshead remain around in good numbers, along with a few black drum. Live shrimp is a good way to go, as are fiddler crabs if you can find them. A few spotted sea trout and some redfish around the Munyon Island and Home Sound Flats. Live shrimp is also a good choice for these guys. Pompano are making a little showing inshore, with the Loxahatchee River holding a few. Catch and release snook fishing is a bit hit or miss. Season is coming up...time to go start finding out what they are doing! SURF/PIER: A few pompano around this week, but not in huge numbers. Lowlight periods will be the key to getting a few pomp bites right now, especially with super calm clear conditions. No big numbers of bluefish around, but a few are being picked away at Hobe Sound Beach. Blacktip sharks are starting to show a little better, and should be here in good numbers very soon.